It's still GenCon. I am still ridiculously jealous of everyone who's in Indianapolis right now enjoying it. Ridiculously jealous. 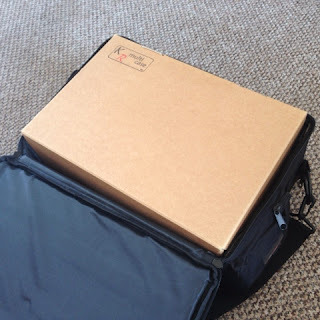 At least I have a friend out there currently grabbing all the bits and pieces I'm after though to send them to me - so that's nice, and of course there'll be pics and blogs when they arrive. This got me thinking about where all these would go, though. 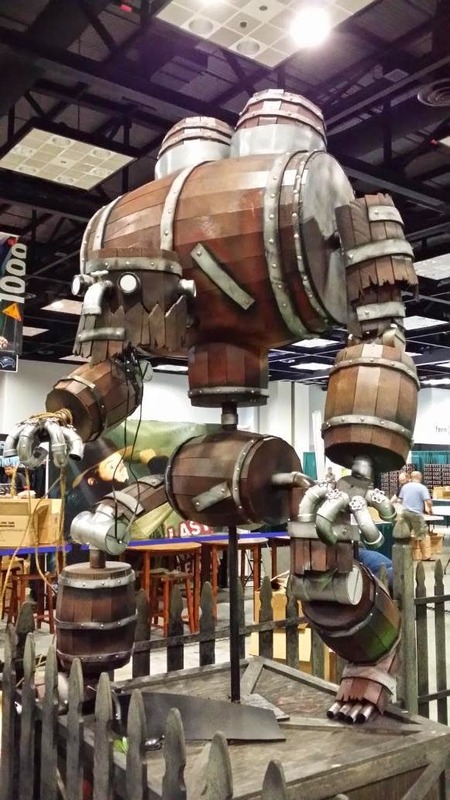 Most of the stuff he's picking up for me is Arcanists or 'basic' bits (the new Crossroads book, Arsenal/Fate decks etc...) but there are a couple of crews and, of course, a Nightmare Edition Whiskey Golem. The fact that there is a Miss Ery coming too makes me think I'm about to start a Neverborn side project, and the fact that one of the boxes was The Dreamer's 'Hide & Seek' box certainly backs this up. 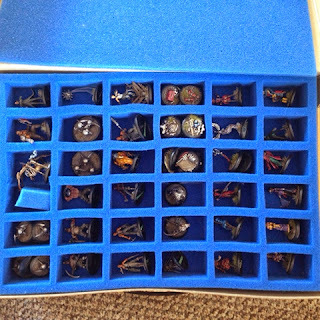 I also have the Tara that I recently painted, an Outcasts/Resurrectionists crew. The Whiskey Golem and the 'The Kin' box also suggest I might be sidling into Gremlins too (but they're not a real faction apparently, so that's okay). 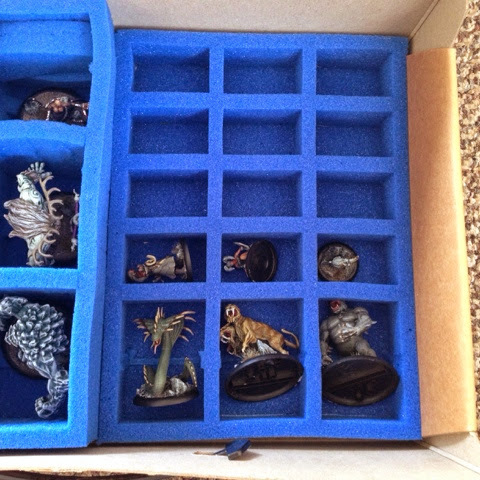 As such, I decided I wanted to do a picture blog today, just showcasing where I keep my Arcanists. See all the pictures after the break! 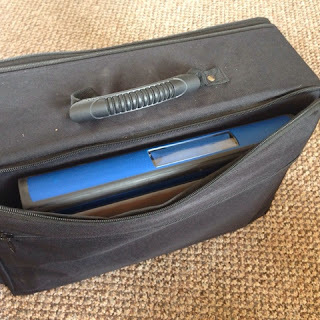 I'm going to be doing this all outside-inwards, so it makes sense to first off showcase the bag I actually carry it all in. 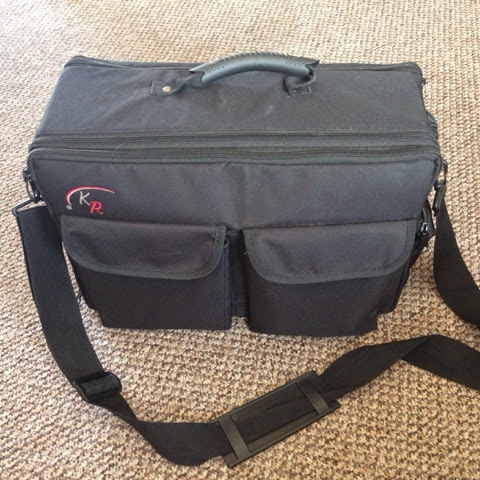 It's a KR Case bag and is surprisingly comfortable on the shoulder despite being packed to the brim with everything I need to play a game of Malifaux as the Arcanists faction. First off, the front-left pocket contains a 50mm clear base (aka 'Blast Marker'), a box of dice to use as wound counters or markers etc, and a little tub of Soulstones/Markers that I picked up... I don't actually remember where... I use the blue gems to represent my Soulstone Pool, then the other colours for things like Burning +X (red) or Fast/Slow (white/amber). 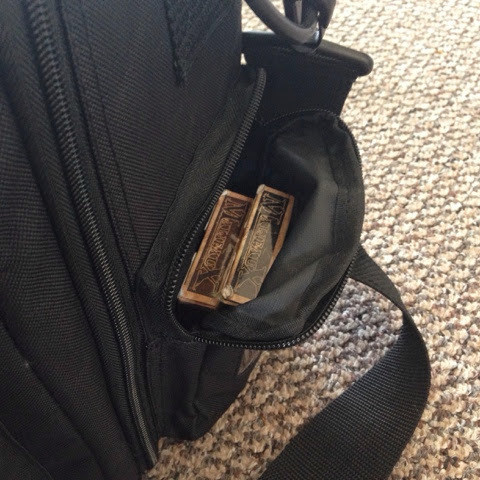 The side pocket (right hand side as you look at the original picture) then contains two Retro Fate Decks. To this day, there is no Fate Deck I prefer. I'm not a huge fan of cards with artwork taking up most of it; I've always liked the plain and simple poker-style decks. That these then look so simple, yet so worn and thematic just ticks every box for me. That 11, 12 and 13 look like J, Q and K respectively, and that Rams (Hearts), Crows (Spades), Masks (Diamonds) and Tomes (Spades) actually look like their real-world counterparts just makes it all the more epic. 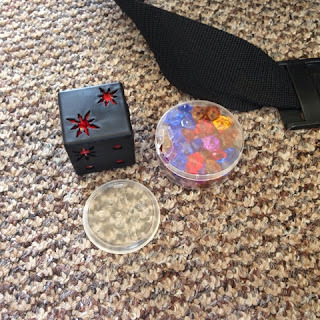 Yes, I use these decks for actual card games too. 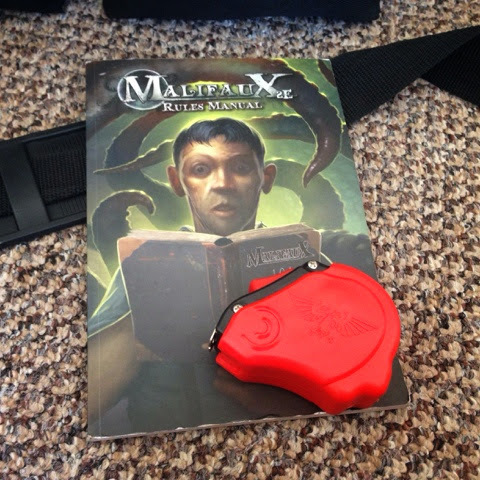 The front zip pocket contains the large version of the Malifaux 2E rulebook. Why? Because I like having it to read on the train/bus to a game etc. 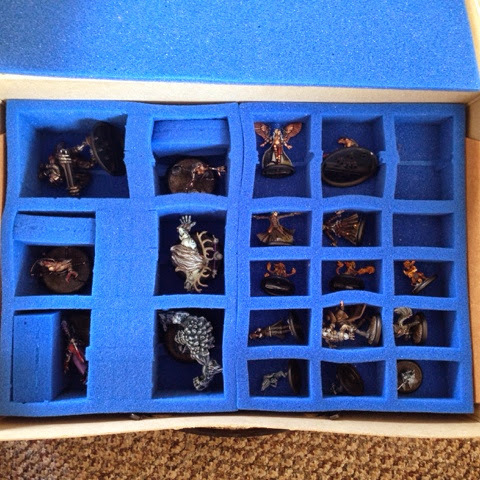 It's useful to be able to look up my opponents crews too so I can learn some cross faction rules etc. I'm also a completionist. Sue me. 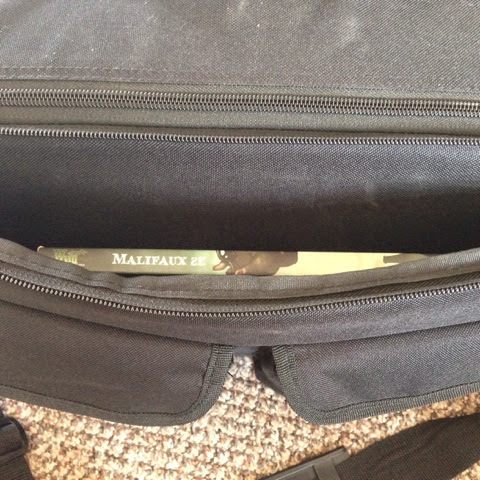 The back zip pocket, conversely, contains this little folder of joy. I'm always being asked about this aspect of Malifaux, so here it is. How do I transport/store all the cards? 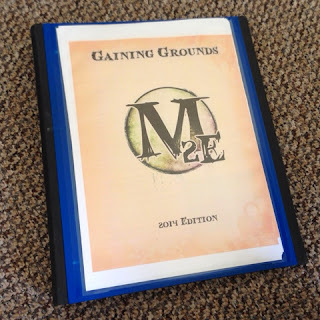 The transparent pocket on the front holds a full 'Gaining Grounds' tournament pack, again, just in case. But this is inside the folder. 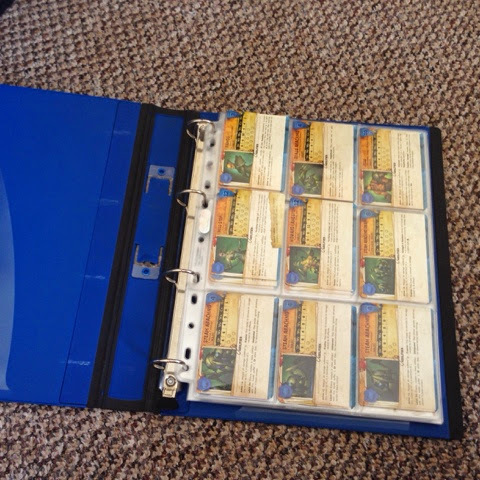 Every card from Wave 1 and most of the Wave 2 cards are stored in here, in stacks. As I have the Ramos card from his 'M&SU' box and the Arsenal Deck, for example, there are actually two of his cards stored here. Handy for making sure they go back in the right place after a game. 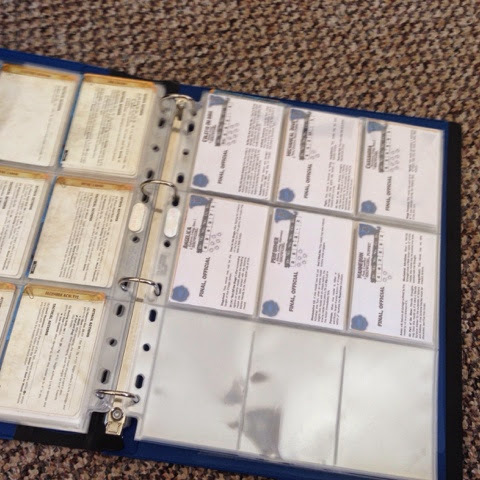 They're also stored so that turning the page allows you to view the reverse side of the cards. Well, except for the Upgrades which are stored back-to-back since you don't need to see the reverse. I cannot wait to replace these with the real thing... Not long now! The thick 'pluck' foam is reserved for the big models (top-bottom, left-right): Rail Golem, Howard Langston, Mechanical Rider, Miss Step, Snow Storm, Ice Golem. Razorspine Rattler, Sabretooth Cerberus, and Cojo. There's also plenty of room for Ironsides and her crew and the other Arcanists I'll be getting from GenCon. The question now is, however, do I create similar set ups for Neverborn and Gremlins and Outcasts? 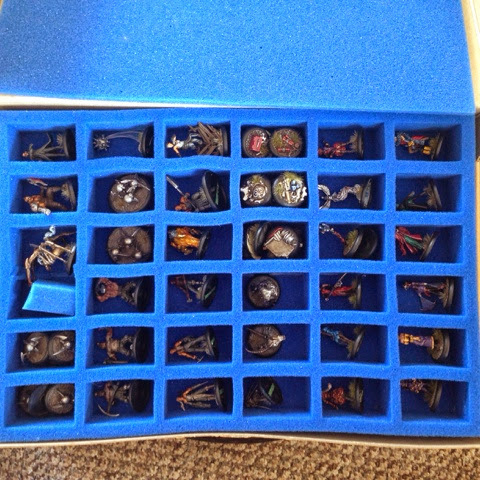 Or am I likely to fit them all into one case? Knowing how I was with Neverborn last time, I imagine they'll need their own set-up (LYNCH! Pandora!) but I could probably get away with putting the Outcasts and Gremlins together... right? what things you have in the tournament pack?